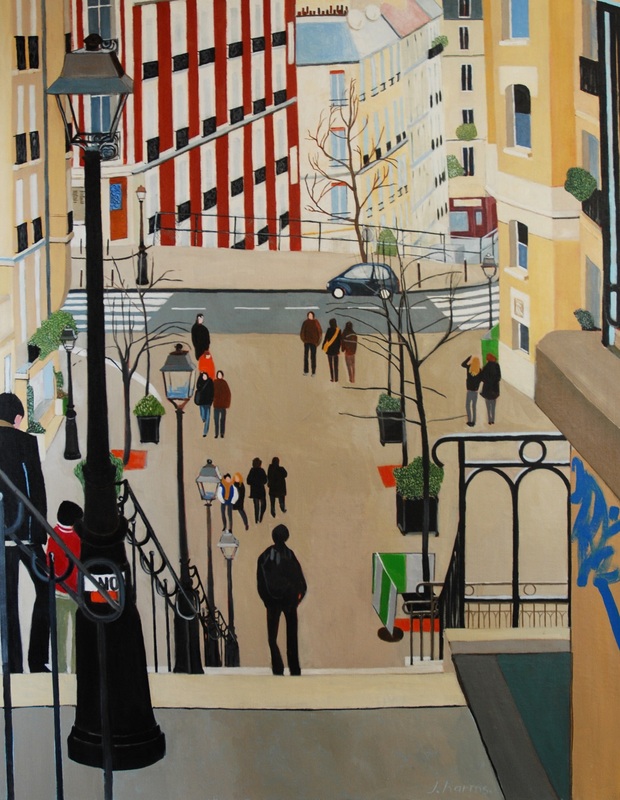 “No” in Montmartre 2012 | J.Harms. The Sacré Coeur is built at the top of a hill and one must climb numerous stairs in order to reach it. The crowd mainly concentrates in front of the building. The back is a little deserted by tourists. One can walk back down to the city peacefully, or just stand there and look at the layers of streets and buildings unfolding at ones foot.